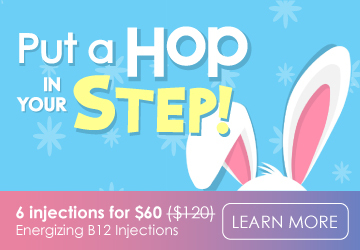 What is your most popular IV infusion? 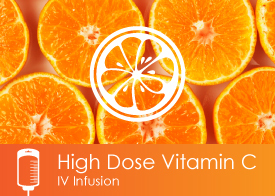 Our most popular IV infusion is our High Dose Vitamin C IV. This IV has shown to be successful in complementing traditional cancer therapy treatments like chemotherapy. 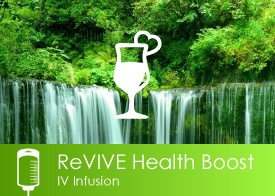 We also administer a number of our signature IVs – ReVive IV – which is our unique mix based off everybody’s favorite ‘Myers Cocktail’. This includes a robust mix of B Vitamins, Minerals, Vitamin C and ends with a mega antioxidant/free radical scavenger, Glutathione. What is the difference between an IV infusion and an IM injection? IV is an abbreviation for ‘intra-venous’ where fluids are administered from an IV bag and dripped into a patient. To administer an IV, a short, small plastic tube (catheter) is inserted into a vein using a needle that is removed once the catheter is placed into the vein. 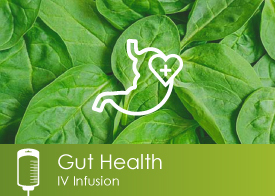 A mixture of solution is mixed with vitamins and nutrients and delivered through the bloodstream by bypassing the GI system. 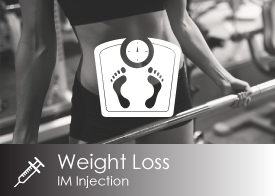 IM is an abbreviation for ‘intra-muscular’ where nutrients are administered through a shot. 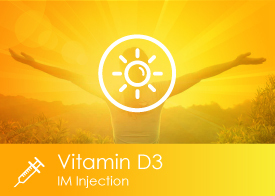 Unlike IV Therapy which might administer 500cc of fluids over the course of 30-60 minutes, a IM injection is a quick and efficient way to receive smaller, concentrated doses of vitamins and nutrients. How long is a typical IV infusion session last? 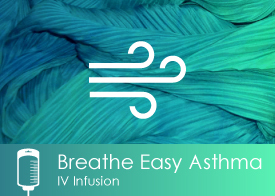 A typical IV infusion can take anywhere from 30-90 minutes depending on a variety of factors. How much fluid is the patient receiving and how fast it can be administered through their veins. Some people have larger veins then others which can affect the drip rate of the treatment. How often should I schedule IV infusion treatments? A consultation with our board certified nurse practitioner (Stephanie), can help answer this question because each treatment is designed specifically for individuals based on their treatment plans. Some customers prefer to stop by for an energy boost whenever they feel like they need a ‘pick-me-up’, while others are on a more consistent plan while they are treating more complex issues. What are common side effects of receiving IV infusions? There are not a lot of side effects when receiving IV infusions, but some patients do have different experiences. While many patients say they often feel better with more energy, others may notice they initially feel tired while their body is receiving antioxidants as they are essentially getting their cells “cleaned”. 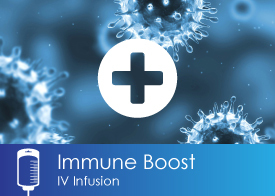 Patients that have more energy are often receiving IV infusions to boost energy while patients that might feel worn down are receiving treatments for specific ailments. While your body is detoxing these ailments, it might make you feel like you are under the weather much like you feel when you get a cold as your body fights off the infection. This typically is short-lived experience and it typically makes people feel great with shorter recovery time. What diseases can be treated with IV infusions? Many diseases can be treated with IV infusions. 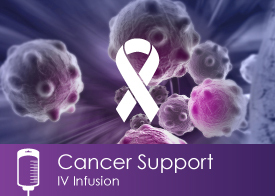 IV Infusions can be used to assist in the treatment of cancer, auto-immune diseases such as Crohn’s disease, ulcerative colitis, lupus, and rheumatoid arthritis. Other conditions include Parkinsons, MS, migraines, chronic fatigue, depression, anxiety, asthma and fibromyalgia. Unfortunately IV Therapy is not covered by insurance. However, Health Savings Account (HSA) and FLEX spending has been used by many customers without troubles.